Moosehead was my go-to macro lager for the longest period of time, I would immediately pick up a case of Moosehead if it included a free glass, hat or belt. Then something changed with the formula of the beer, it doesn't taste the same as it used to be and lost my interest completely. 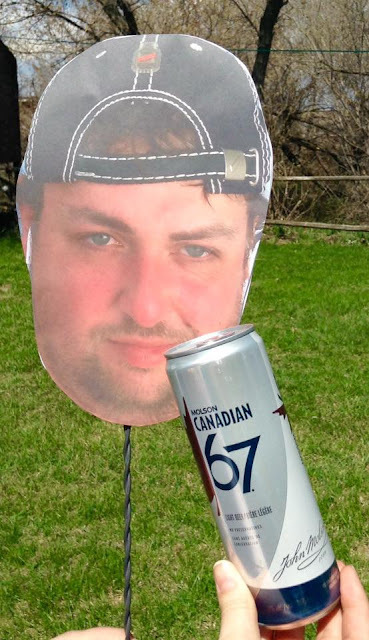 Moosehead has been trying to break into the craft beer market for the past two years or so with little success, but that still hasn't stopped them from at least trying. First off, they purchased Toronto microbrewery Hop City to try to introduce some new beers in the market, but with a name like Hop City, I expected their beers to be full of hops, their Barking Squirrel Lager was just another mediocre Canadian lager, lacking in hops. 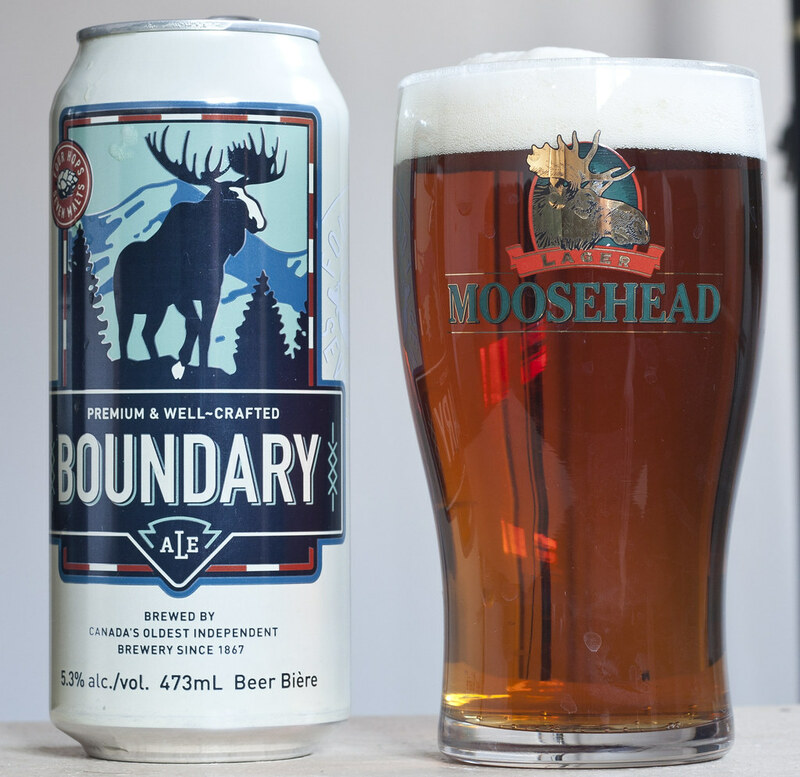 Now as part of the standard Moosehead line of products, Moosehead Breweries has released a new Pale Ale simply called Boundary Ale. Boundary Ale is described as being brewed with a unique blend of Old and New world hops which gives this beer all the fine qualities of an English and American Pale Ale. The different malt varieties make it a remarkably well balanced beer that is slightly sweet with roasted and caramel malt complexity. To me - this beer really reminds me of CBC Radio 3's Grant Lawrence. Appearance: Boundary Ale pours a light caramel amber ale, thick amount of soapy snow white head. The residue is sticking to the side of the glassware. Minimal carbonation. Aroma: Knowing that this is a Moosehead product, I didn't expect much and I was right. It has a light caramel maltiness in there followed by a grassy aroma from the hops. Similar in some aspects to the original Moosehead Lager, but this one has an incredibly subtle Canadianesque grassy hoppiness to it. Taste: There are hops present in this beer, but mostly gives off a grassy hoppiness with a lightly bitter aftertaste that lingers for a bit. Notes of sweet caramel malt and a light tinny taste from the aluminum can. Overall Thoughts: Average. In no way's a craft-style (amberish) pale ale, but from an independent Canadian macrobrewery, it's a start. 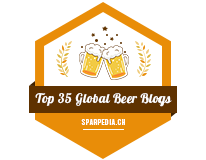 I'd like to see them experiment more like what most breweries in Canada are doing - don't be shy with being around hops! Will I buy this again? Probably not but if it's one of the only beers available on tap at a local bar, I'll certainly drink that over Kokanee. Boundary Ale costs $2.79 for a 473mL can and 5% ABV. PS: the label has "Premium" on its packaging, which is a no-no, but for this beer, I'll let it pass. It's certainly very drinkable and a step up from Keith's, but I hate the word "Premium" when it comes to beers.